Maybe you heard it off of a friend when you were five or perhaps your grandmother spun you a tale to make sure you never misbehaved again. However you heard it chances are you have spent a good chunk of your life believing the lies. So before continuing with this article be prepared to have your childhood destroyed and your mind blown. 25. 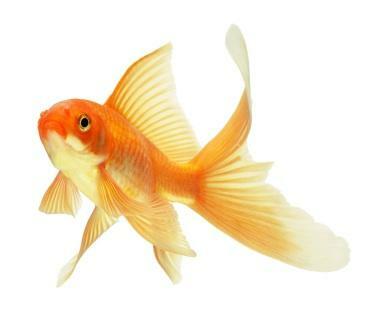 Goldfish have a 3 second memory. So whoever made this ‘fact’ up must have been seriously hating on the tiny golden fish we love so much. Actually these tiny little creatures have a considerably longer memory, probably on par with every other fish in the sea. We’ve all heard this tale a fair few times. Your mother probably did it to stop you from swallowing your gum every day. Thankfully the legend is definitely false and you don’t have a wad of accumulated gum sitting in your stomach. It passes through your body like any other food. While this lie was believed for a good few years, turns out he actually lost the appendage in a sword fight. Now that is a far better story for the grandchildren. 22. Abraham Lincoln hated slavery. While one of America’s most infamous President’s famously freed all the slaves his thoughts on the matter only actually applied to those living in Confederate States. In fact, he actually stated once “If he could save the Union without freeing any slaves he would”. 21. Thomas Edison was a phoney. Well, not really just what we believe he did is false. In actuality, the lightbulb had already been created by both British and American inventors almost 50 years before Edison. However, Edison created the very first bulb that could be commercially sold and distributed. 20. Earth is the only place with gravity. While this false fact has been understandably believed for decades, it’s more of the way scientist describe gravity that has people believing it. In reality, there is some gravity in space just a significantly smaller amount than on Earth. Why didn’t they tell us that in school? 19. Witches were burned at the stake. While movies and television shows have romanticised the idea that witches were ceremoniously slaughtered at the stake with hundreds of onlookers shouting witch, witch, witch! Really what happened was usually some barbaric hanging and or life sentences for you know, being evil. 18. 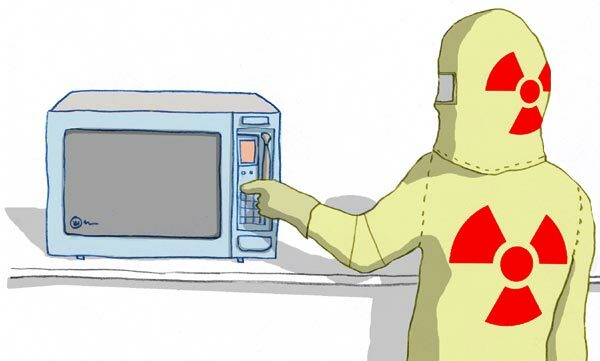 Looking at the microwave will make your future babies whack. While this lie has some truth to it (staring at the microwave has been known to increase chances of breast cancer) there is no truth to it harming something deep inside of you. The fable came about during the late 70’s when the appliance first hit kitchens. 17. Toads give you warts. Now this one was definitely made up by an overly cautious parent! The little critters won’t do much else to you other than leave some sliminess behind on their way out. 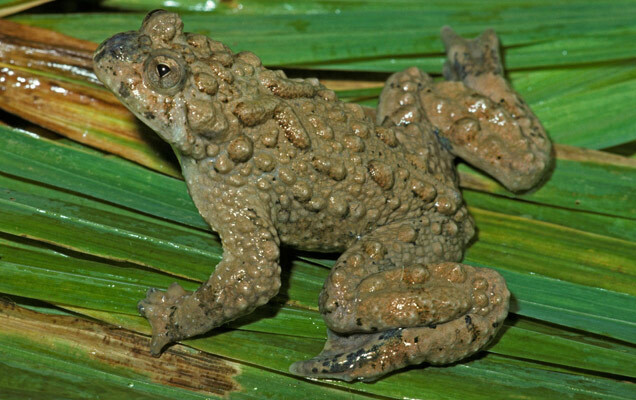 Warning: If your partner has said those suspicious bumps popped up after sunbaking naked near a toad – they’re lying. 16. Eating a watermelon or apple seed will make a tree grow inside you. Who else believed this one?! It was a believable one to be fair, our stomachs make a great environment for all things to grow so why not a tree? Truthfully, the seed will pass through your system like everything else so eat the whole watermelon! 15. Cracking your knuckles will definitely give you arthritis. Really all this habit is doing is making the built up gas particles in your joints pop making that delightful sound. A lot of people will adamantly tell you that it’s true but guess what? Now you know it’s not! 14. 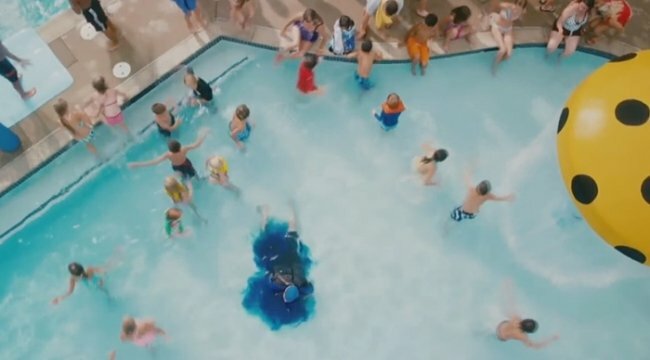 Peeing in the pool will turn it blue or purple. This one was usually used to make sure no naughty little kids decided it was toilet time in the public pool but really there are no chemicals in the pool that will make it obvious you peed. But seriously, who pees in the pool? 13. There were 13 colonies, like on the flag. Turns out your teachers were lying. While most of us were lead to believe that there were 13 original colonies of America really there were only 12 with Delaware being added in much later on. The reason this lie has continued to survive is because nobody can really be bothered to explain their slip up with the flag. 12. We evolved from apes. Now nobody get too worked up about this one okay? Some theorists believe that based on the idea that only the strongest species survive, if we evolved from primates how are there still any left? While this theory has a fair amount of science and credit behind it what we are taught in school opposes the idea. 11. Christopher Colombus discovered the earth wasn’t flat. While it wasn’t a well-known fact back then, the Ancient Greeks had actually proved that the world was round long before Colombus. However he was main reason everyone knows this fact is mainly because he told the Spanish about it after his voyage to Asia. 10. Vikings wore horned helmets. For some reason this tacky cultural traditional has been linked to the savage Vikings but in reality, they didn’t wear helmets with horns at all. It’s simply something we’ve come up with as a good story along the way. Also, most warriors had long luscious locks of orange, not blonde hair. 9.Vitamin C helps get rid of a cold. Sadly, it doesn’t matter how much orange juice you drink whilst suffering from a running nose or block throat. All the Vitamin C does is elevate some of the uncomfort. What you can do to prevent a cold is have a consistent amount of the good vitamins in your diet, not just when your sick. 8. You have to wait 24 hours to report someone missing. Really? How do we actually believe this? A lot of people do though. When it comes to reporting a loved one missing there is no law in any country dedicating you must wait 24 hours to report someone being missing. Seriously. 7. Sugar gives you a buzz. Wrong! This is all down to a placebo effect, from either the parents of the child themselves although the sugar will spike insulin levels it is not the reason your child is running around screaming. That’s just your child, being a child. 6. Shaving your body hair makes it thicker. Shaving, waxing, threading, plucking or whatever else beauticians are selling these day all have the same result when it comes to hair grow. All that shaving does is make the hair follicle look more unnatural compared to other methods. Your hair isn’t getting thicker you’re just making up excuses! 5. Swimming after you eat will make you sick, throw up, get cramps or die. Again, this one probably started with an anxious parent tricking their kid into waiting to jump back in the pool. It doesn’t matter whether you ate 20 minutes, three hours or a day ago, you aren’t more likely to drown. 4. Waking someone up while their sleepwalking will scare them. Who knows where this one came from but a lot of people still believe it. Don’t worry, if your roommate is sleep walking and heading out onto the road you can stop them and it definitely won’t frighten them. 3. Crocodiles and Alligators live in the sewerage system. Blame this one on the ninja turtles. Ever since their birth in the early 90’s people have consistently believed that there is a possibility that reptiles of all kinds loiters right under our feet. I mean, it could be possible but not likely. 2. Soaking your tooth in coca cola over night will dissolve it. This one is completely false, the sweet beverage will definitely leave your tooth a little worse for wear but it will still be right where you left it before bedtime. This one exploded in repetition in the 80’s and 90’s when the Coca Cola company was coming under fire. 1. You’ll end up with a bath tub full of ice and a stolen kidney. 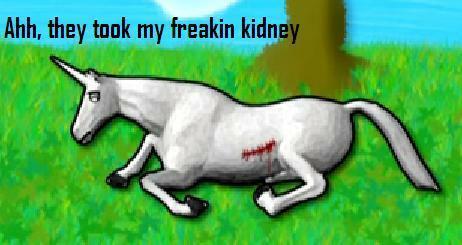 There has never been a reported incident where someone has had their kidney stolen or any other organ, ever. Mainly because if you’re in the kind of situation where you might have a vital organ taken, you’re usually get paid. Illegally of course, but still paid. Be sure to SHARE this article with your friends!